On Sunday afternoon, December 18th, 2016, Saint Nicholas visited the children and families gathered at the Heinrich Fisher Home. He was greeted with the traditional Ukrainian carol "O, khto, khto, Mykolaia Liubyt’" ( "Children who love dear St. Nicholas"). St. Nicholas met with each child and rewarded them for their good behavior throughout the year by presenting a goodie bag filled with treats and toys. The visit was organized and sponsored by the Ukrainian History and Education Center. 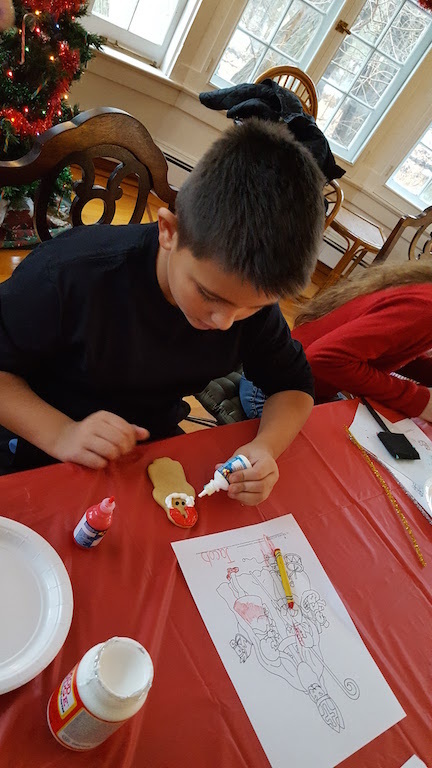 Center staff and volunteers decorated the historic Heinrich Fisher house in festive Christmas decor, offered complimentary refreshments of coffee, hot chocolate, bagels, and cookies, and conducted an educational workshop. 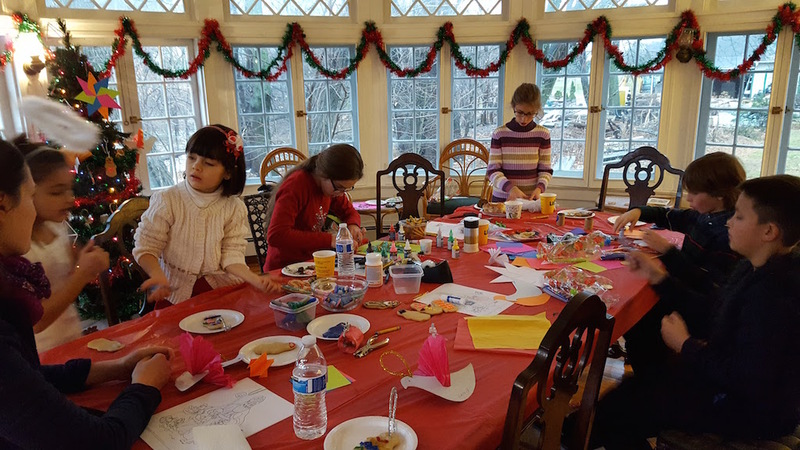 Both children and adults participated in learning about traditional Ukrainian ornaments and were able to make their own ornaments to take home, ranging from simple cut paper and St. Nicholas cookie ornaments to the much more challenging mobiles of geometric figures made from thread and paper straws. St Nicholas stayed through the entire afternoon for “Pictures with St. Nicholas”. 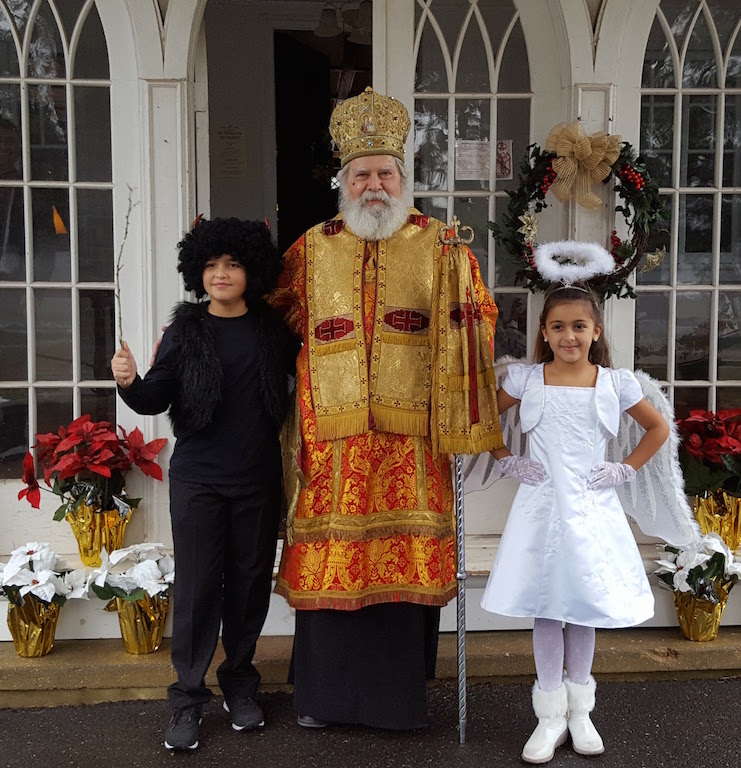 Everybody attending was able to have the photographer Christine Syzonenko, a parishioner of St. Andrew Memorial Church, take a picture with St. Nicholas and bring home a print or have the photos emailed to them. and a fifth tree was decorated during the event with the ornaments made by participants of the workshop. Homemade Christmas cookies baked by parishioners of Holy Ascension Parish in Maplewood, New Jersey were available for purchase. All proceeds of the event support the educational efforts of the Ukrainian History and Education Center. To learn more about the Center, its current programs and exhibitions, or to join the mailing list, please visit the website at www.UkrHEC.org, and "like" us on Facebook!